Well last week was a bit of a hoo ha over nothing wasn't it? Blimey. Thank goodness that's all in the past. And thanks to lots of you who sent tweets or Facebook messages to offer to support. Now can we all put #poogate behind us and move on?! We are officially over half way through the summer and next week I am going on my jollies. Wahoo! 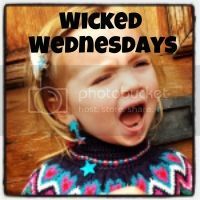 #wickedwednesdays will be still be on though. I just may be slow to respond as the cottage we are staying in has no (sob) reception! What shall I do? Oh God I will have to actually talk to my husband! Jokes. He's aces. OK my utter favs this week were the amazing and funny lady Wally Mummy with her beautiful selfie with her little girl which I regrammed over on Instagram I also loved the most inappropriate photo ever by Potty Mouthed Mummy which I shared over on my facebook page. A different take on the theme was Diary of a Mid Life Mummy and her hilarious stuck in dress in changing room scenario. I can't wait to see what you've for for me this week! Make sure to tweet me and do try and comment on as many as you can. And if you know any bloggers who may enjoy the comedy element of this linky ask them to have a go too, especially any lovely newbies. 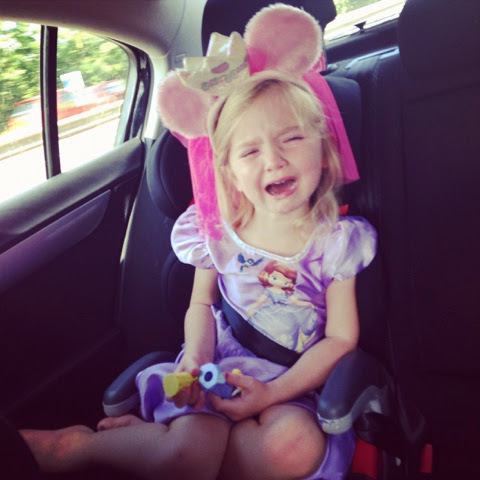 Have a beaut rest of the week and bring on the weeping toddlers and crazy, messy houses! The linky requires no words - it's summer and we've not got the time really have we? But feel free to write a few lines if you wish. I think no words is sometimes even funnier. We can make our own stories up then! It will run from Wednesday early morning till Friday late evening. But feel free to link up any old photos from other weeks. One post per person but you can put a few funny pics if you wish. I will comment on each one and if you include my twitter handle (follow me on @brummymummyof2) and #wickedwednesdays I will share your comedy picture. And all because? I told her to "share". 19. Smile for the camera! 25. Talk to the sweets! This must be the universal I don't want to share face lol! I love this photo, bless her. You are a bit mean asking her to share! Fab photo and love the headpiece! Who likes to share anyway? She is just expressing how we all feel. Sharing? How very dare you! Ha ha! We get pretty much the same reaction when we tell Bubs she can't have another snack. It's like it's the end of the world. I still get this now! Apparently sharing is not caring! Aww love the head gear though!